For us, every fly fishing trip is important. We put our heart and soul into our work. From booking, while on the water, and until you are back home, our goal is to make sure your Montana fly fishing experience is your best yet. 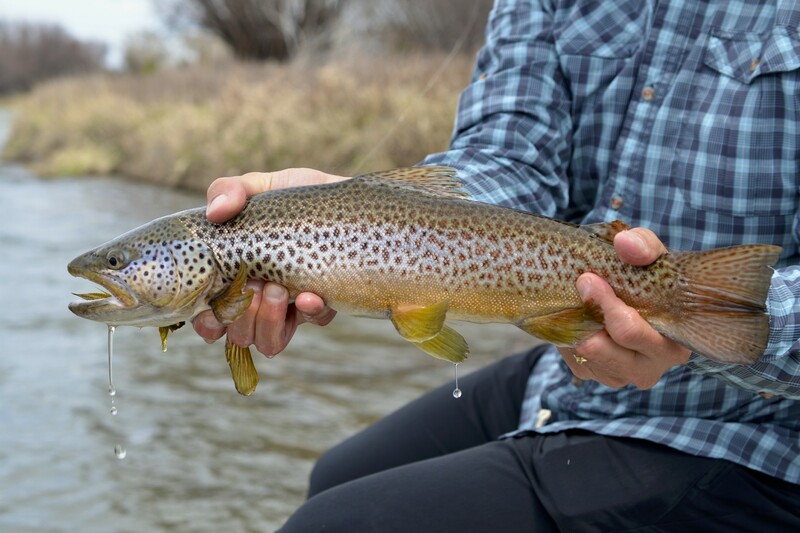 We pride ourselves on personal service and our Montana fly fishing guides are all courteous professionals who work hard for our anglers everyday. We treat each guided fly fishing trip as custom. We build your trip to your needs. That being said we are asked a lot what a “normal” day of guided fly fishing entails. A day of guided fly fishing starts when you first reach out to book your trip. Our outfitter, Max Yzaguirre, guides you through the booking process: where to fish, when to fish, where to stay, and how to get there. You come up with your perfect Montana guided fly fishing trip, and it becomes our job to execute it. The day of your trip starts waking up at one of our many great lodging options. An early breakfast, hot coffee, and great hospitality make your day of fishing great right from the start. From here you meet your guide at the pre-arranged pick-up point. Many times this means your guide will be at your front door, other times you may meet at a local fly shop, and sometimes at the river. This is all arranged to best accommodate our anglers. You’ve met your guide and you are headed to the river. You arrive after a short drive. Your guide gives you the rundown on what is in store for the day. If you need to polish up on casting or learn a new technique, we try and address this and teach our anglers the requisite skills before the boat is ever even in the water. Your guide will rig rods, provide flies, help you down to the river, and just like that you’ll be fishing. A day of float fly fishing means you will experience a great stretch of some of Montana’s finest blue ribbon trout water. Wildlife, great scenery, and ample fishing are to be expected. Everyday on the river is different but our goal is to provide you with great fishing opportunities throughout your day. Our guides will work hard for you to make this happen. A nice streamside lunch provides a great break during the day to slow down and enjoy everything Montana’s outdoors has to offer. After lunch fishing continues all the way to your take out. Memories have been made, laughs shared, and another great day on the water comes to an end. Your guide will help you off the river, Drive you home, and wish you farewell until next time. Our outfitter does his best to personally follow up with all of our anglers. Your experience is what is important to us and we do our best to continually improve it. Guided fly fishing in Montana is an experience that is hard to put into words, but we have made an effort. What are lost in our words are the special moments fly fishing, the scale of the landscape, and the peace of the river. But you’ll just have to come and experience that for yourself. Fish On!